With this morning’s race complete, I promise the running-centric posts will dwindle substantially! But, I can’t help myself with this one. 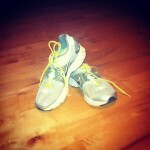 There’s lots of time to think while running for two hours. Step 1. Experience a devastating event. Step 2. Write about it and post it on your blog. Step 3. Compare every possible thing you could write about to it, and let everything come up short.